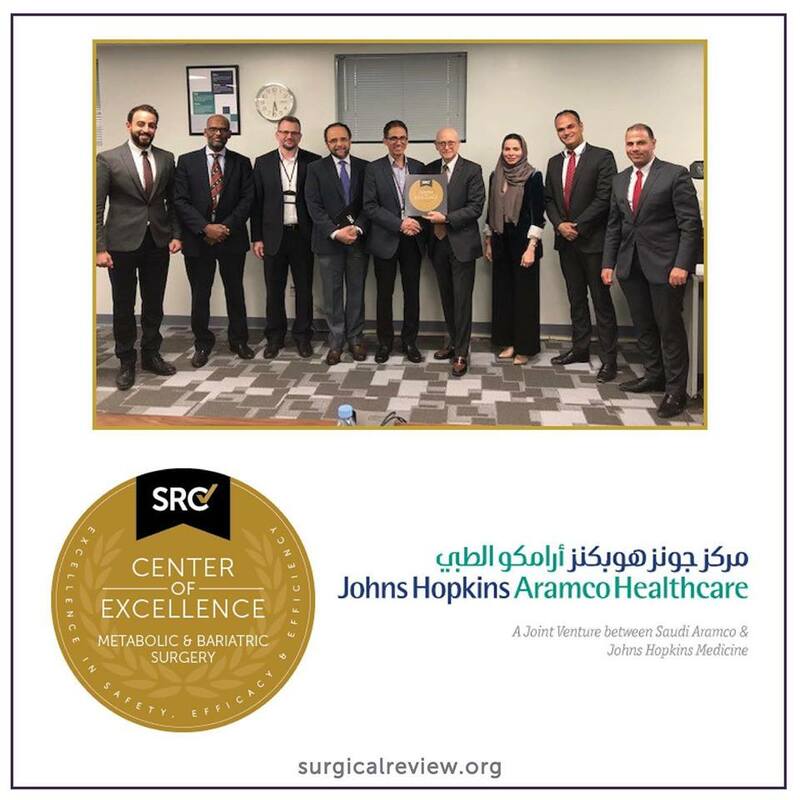 Congratulations to Johns Hopkins Aramco Healthcare in Dhahran, Ash Sharqiyah, Saudi Arabia, on earning accreditation as a Center of Excellence in Metabolic and Bariatric Surgery. Johns Hopkins Aramco Hospital, along with surgeons Dr. Abdullah Ahmed AlGhamdi and Dr. Zafer Mohammed Rasin, are committed to providing patients with the highest level and safest care available. Site inspector, Dr. Neil Hutcher, awards COEMBS to the surgeons and staff.